Although no one likes to admit it, first impressions are key. From first dates to job interviews, a winning smile can give you the confidence you need to achieve your dreams. Unfortunately, unsightly teeth are common. If yours are yellowed, stained, crooked, or worn down, porcelain veneers can help. Here’s how. Porcelain veneers are very thin shells of dental porcelain that slip over your teeth. They can be color-matched to precisely blend with your natural tooth color, and they require us to remove only tiny bit of your tooth enamel. 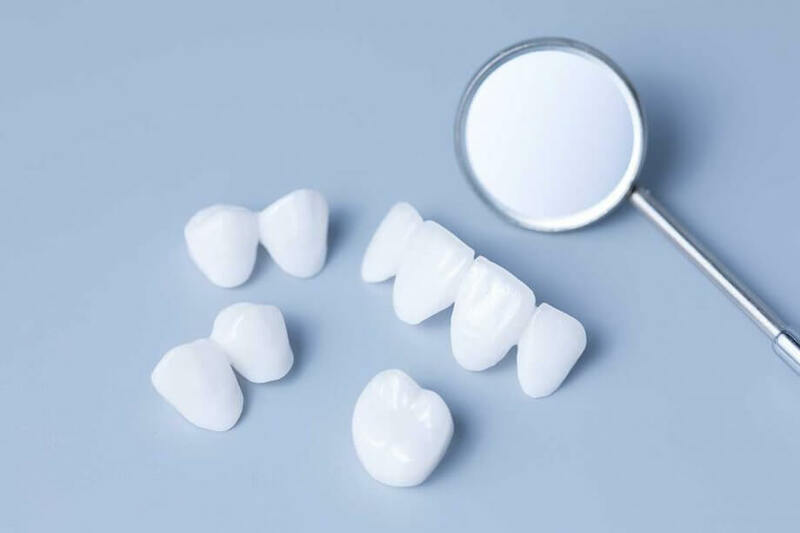 Chemically bonded to your teeth, porcelain veneers are strong and durable, and they can last for years with proper care. Wear and tear: Everyone’s teeth wear down over time. If you chew on ice or pens, or you use your teeth as a tool, this natural process will happen even faster. Minor breakage: Falls, sports injuries, and other light trauma can cause teeth to chip or crack. We must repair severe damage, but porcelain veneers can cover surface chipping or cracks. Discoloration: Root canals, excessive fluoride consumption, large fillings, and certain medications can cause deep staining that cannot be fixed with whitening. Veneers are an excellent solution to this common problem. Misshapen or uneven teeth: Very few people have truly perfect teeth. Porcelain veneers can improve the look of teeth that are misshapen or uneven. Minor gaps or crookedness: If your teeth are badly gapping or misaligned, you might need orthodontic treatment. For minor gaps or crookedness, porcelain veneers are a far simpler solution. Few dental restorations last forever, but porcelain veneers are among the longest-lasting options. They are strong enough to withstand the forces of biting and chewing, and they can easily last for a decade or more with proper care. Porcelain veneers are also stain resistant. While teeth whitening must be repeated regularly, excellent oral hygiene will keep your veneers looking beautiful and healthy. You might be concerned that porcelain veneers will give you a fake “game show host” smile, but the truth is that veneers are extremely natural-looking. We can color-match them to your natural teeth, and the dental porcelain mimics the translucency and sheen of teeth. If you prefer a whiter smile, consider having your teeth whitened first and then color-matching your veneers to your new shade. Just remember that you will have to whiten your teeth regularly to maintain the match. Depending on your needs and desires, we may suggest that you have additional procedures. Teeth whitening, Invisalign, and other cosmetic dental procedures ensure that your smile looks its best while minimizing the number of veneers that you require. If you are ready to start your journey to better oral health with a trusted Long Island dental team, contact Greater Long Island Dental today at 516-468-7103 to schedule your first appointment.